Macular degeneration is the number one cause of vision loss in the United States. According to the American Macular Degeneration Foundation (AMDF), the condition affects 10 million Americans, more than glaucoma and cataracts put together. The condition is characterized by deterioration of the retina—the part of the eye responsible for interpreting light rays and converting them into impulses for our brain to interpret as images. Specifically, the deterioration applies to the central portion of the retina, which is called the macula. The macula focuses our central vision, which is crucial for reading, driving, recognizing colors, recognizing faces, or making out details in the things we see. Needless to say, the deterioration of this part of the eye leads to significant vision impairment for patients with macular degeneration. Curing Macular Degeneration: Is It Possible? At this point, macular degeneration is considered an incurable eye disease. There is no known way to reverse the effects of vision loss due to the condition. Despite the incurable nature of macular degeneration, there is some good news. First, macular degeneration—while common—does not affect all age groups equally. A younger person is highly unlikely to develop this condition. Instead, macular degeneration most commonly affects patients over the age of 50. As one ages, he or she become more and more likely to develop this condition. In fact, macular degeneration is so linked to age that it is often referred to as “age-related macular degeneration,” or abbreviated as AMD or ARMD. Second, there are ways to reduce the risk of macular degeneration or to slow its progression. The scientific community does not have a firm understanding of this particular eye disease or what specifically causes it, hence the lack of an effective cure. The American Macular Degeneration Foundation (AMDF) notes that macular degeneration is “complex” and has an array of different causes, “both hereditary and environmental.” The hereditary factors, obviously, can’t be changed or controlled—though patients with a family history of macular degeneration should be on alert, as they are more likely to develop the condition. Environmental or lifestyle factors, though, can be modified to reduce the risk of macular degeneration. One of the most significant risk factors is smoking, which the AMDF says effectively “doubles the risk of AMD.” Individuals who are obese, who have a high-fat diet, or who have high cholesterol or high blood pressure (or both) are also at higher risk for developing macular degeneration. Adopting a healthier lifestyle is one of the best things anyone can do to shield themselves against AMD. Protecting the eyes against ultraviolet light is also something that can reduce risk—making sunglasses more than a fashion accessory in the summertime. As for treatments that can slow the progression of AMD, they include laser therapy, vitamin regimens, surgery, and anti-angiogenic drugs. Anti-angiogenic drugs are drugs injected directly into the eyes. The ideal treatment will depend on which type of macular degeneration the patient has. There are two types of macular degeneration—dry and wet—and each is treated a bit differently. Dry AMD is caused by the buildup of drusen—a hard yellow tissue—in the macula. Wet AMD is caused by abnormal blood vessel growth beneath the macula. These blood vessels eventually start to leak into the retina, causing damage. Regardless of the type of AMD, it’s best to start treatment as early as possible. Since macular degeneration is not curable, any vision loss cannot be reversed once it has occurred. Since symptoms do not typically characterize early AMD, the condition can be difficult to treat before vision loss starts manifesting. Scheduling regular eye exams, therefore, is essential for preventing this condition. Annual eye exams are recommended for everyone, but are especially important as one ages, or if family history indicates a heightened risk for developing AMD. 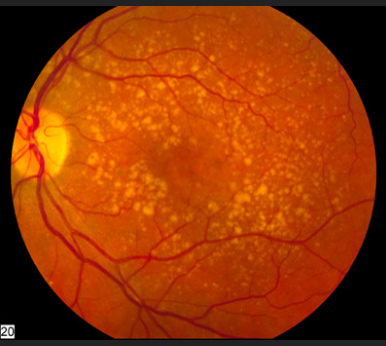 Do you think you might have macular degeneration? At Weston Contact Lens Institute, we can provide a thorough eye exam as well as a formal diagnosis. 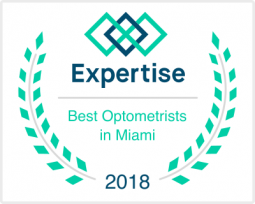 Contact top optometrists in Weston today to schedule your appointment.